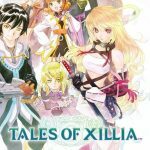 The Japanese have had Tales of Xillia for aaaaages, and in the next few months Namco are bringing the Japanese RPG titles over to our corner of the globe with what seems to be a very solid English translation. In case you’ve never seen Tales of Xillia before, here’s the E3 trailer – I’m sure you’ll agree it looks gorgeous. Tales of Xillia, the PlayStation 3 exclusive RPG, explores the beautiful world of Rieze Maxia and the plight that threatens the world as two nations gear up for battle. Jude Mathis, a medical student and Milla Maxwell, a mysterious woman accompanied by the Four Great Spirits are thrown into the center of the frey and begin a chain reaction that threatens the very fate of the world.